ST. PAUL, Minn.,– United Subcontractors Inc. (the “Company” or “USI”), a leading national construction services provider of installed insulation and related services to builders, contractors and homeowners, today announced the acquisition of Image Design Solutions, LLC dba IDS Specialty Building Products (“IDS”), a Savannah, GA market based full line insulation and specialty services contractor. 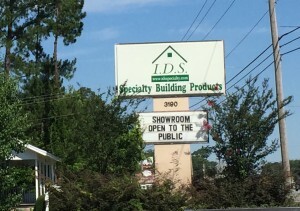 IDS’ service offering includes installed insulation, garage doors, shower enclosures, closet shelving, mirrors, and other specialty items to the residential and commercial new construction markets, as well as to the existing homeowners and remodelers throughout South Carolina and Georgia. With additional locations in the Augusta, GA and Charleston, SC markets, the transaction provides USI with an enhanced operational footprint in the rapidly-growing Southeastern region of the United States. For the 12 months ended June 30, 2016, IDS’ net revenue exceeded $11 million. USI was founded in 1998, and is a leading provider of installation, construction and distribution services to the residential and commercial construction markets. Headquartered in St. Paul, Minn., the company employs more than 1,700 personnel in 42 locations across 15 states. Learn more at www.USIinc.com. USI has become a leading building solutions provider in the United States by combining local market savvy with outstanding employees, superior technology, and the infrastructure of a national network. USI provides the nation’s residential and commercial contractors with a wide range of construction services. This press release contains forward-looking statements within the meaning of the federal securities laws, including with respect to the demand for our services, expansion of our national footprint, our ability to capitalize on the new home construction recovery, our ability to strengthen our market position, our ability to pursue value-enhancing acquisitions, our ability to improve profitability and expectations for demand for our services for the remainder of 2016. Forward-looking statements may generally be identified by the use of words such as “anticipate,” “believe,” “expect,” “intends,” “plan,” and “will” or, in each case, their negative, or other variations or comparable terminology. These forward-looking statements include all matters that are not historical facts. By their nature, forward-looking statements involve risks and uncertainties because they relate to events and depend on circumstances that may or may not occur in the future. Any forward-looking statements that we make herein and in any future reports and statements are not guarantees of future performance, and actual results may differ materially from those expressed in or suggested by such forward-looking statements as a result of various factors. Any forward-looking statement made by the Company in this press release speaks only as of the date hereof. New risks and uncertainties arise from time to time, and it is impossible for the Company to predict these events or how they may affect it. The Company has no obligation, and does not intend, to update any forward-looking statements after the date hereof, except as required by federal securities laws. Source: USI Senior Holdings, Inc. They gave me an assessment that I didn’t need, extra insulation, recommended another solution that he does not install, and didn’t charge me a thing!